Get to know the not-for-profit partners who joined with the NCF on September 26, 2015 to create an extraordinary day of spirit and service in Niskayuna, and who work year-round to enhance our community. These are the organizations that benefited directly from the day of service. Big Brothers Big Sisters of the Capital Region (BBBSCR) provides children facing adversity with strong and enduring, professionally supported one-to-one relationships that change their lives for the better, forever. Social Workers and other staff in our Niskayuna schools rely on help from BBBSCR, and other community agencies make referrals to BBBSCR for youth who may benefit from participating in their Community-Based Program or Site-Based Program at Union College. DAY OF SERVICE PROJECT: Volunteers beautified the front entrance to the BBBSCR building. After clearing out the weeds, volunteers weeded, mulched, and planted purple tulip bulbs (purple is the Big Brothers Big Sisters color), hostas, and other shade-loving plants to highlight the building and enhance the welcoming character of the agency. The Niskayuna Senior Center serves a vibrant community of over 300 members, enriching the quality of life with recreational, educational, nutritional, and social opportunities to support independence and involvement in our community for seniors. The rich array of offerings include day trips to museums, theaters and restaurants; nutritionally balanced lunch offerings; transportation for shopping and medical appointments; classes in art, fitness, and computer instruction; community resource presentations; and seasonal celebrations. DAY OF SERVICE PROJECT: Volunteers helped to enhance the Niskayuna Senior Center’s recreational offerings and meal program by building a large garden. J& K Fence, joined on as a Silver Sponsor of the event and installed a fence. Gardening was already a popular program at the Niskayuna Senior Center, and with the new garden, there will be space for even more participation. In the Spring, and for years to come, the garden will be planted, tended and harvested by Niskayuna Senior Center gardening program participants and the harvested vegetables will be used in the Center’s lunch program. 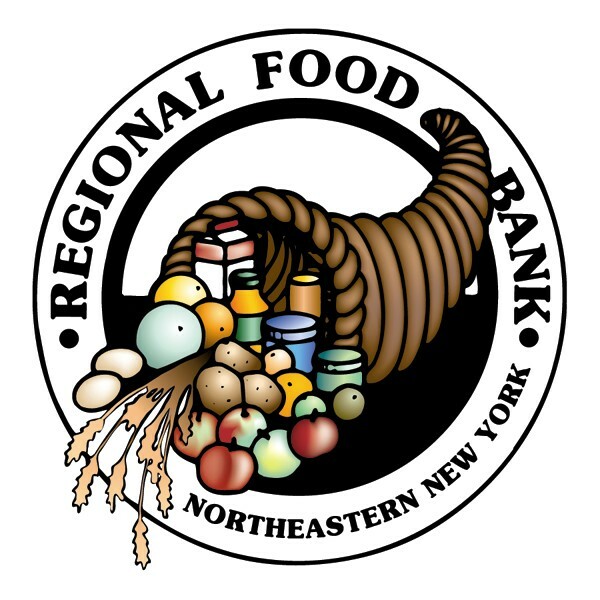 The Regional Food Bank of Northeastern New York works to alleviate hunger and prevent food waste by accepting large donations from the food industry and distributing those donations to 1,000 food pantries, soup kitchens, emergency shelters, and other charitable feeding programs in 23 counties in northeastern New York. Each year, the Food Bank distributes more than 32 million pounds of food to its network of agencies and helps feed 310,000 chronically hungry people, including more than 600 low-income Niskayuna residents. Niskayuna’s largest local food pantry, Trinity Baptist Food Pantry on Balltown Road, in partnership with the Regional Food Bank of Northeastern NY supplies more than 5000 meals per month. In addition to the valuable work volunteers will do on September 26, the financial contribution from the 15th Anniversary Day of Service will pay for meals for 1,200 local people in need. DAY OF SERVICE PROJECT: Volunteers gave the gift of time to help the Regional Food Bank reduce hunger and prevent food waste. Volunteers sorted donations of food and non-food items (principally bottled water) so they could then can be distributed to member agencies. 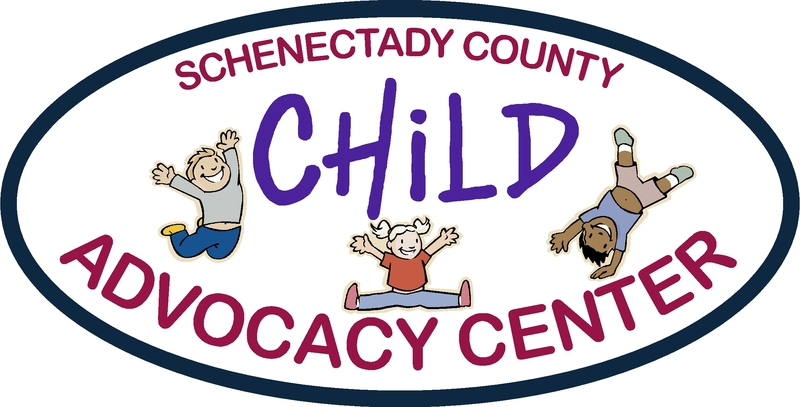 The Schenectady County Child Advocacy Center (CAC) is a one-stop facility where children who are victims of sexual and physical abuse and neglect can receive specialized services and be interviewed by a professional multidisciplinary team of law enforcement and child protective officials. The Child Advocacy center offers a safe environment and compassionate services to approximately 400 children a year. Roughly 10% of children seen at CAC live in Niskayuna. DAY OF SERVICE PROJECT: Volunteers toured this important resource center and helped to provide comfort to the children who visit by packing bags with items to help them feel more secure and meet basic needs. Children who are interviewed at the CAC often come to the center straight from school without lunch and sometimes end-up being removed from their home and placed in foster care. While the foster care placement may be permanent or it may be just for the night, most of these children go to the foster placement with nothing of their own, not even a toothbrush. The Day of Service Care Bags packed by our volunteers contained snack foods as well as items to comfort the children and meet basic needs. 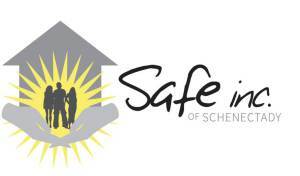 Safe Inc. of Schenectady helps Schenectady County youth and young adults who are at risk, who have suffered sexual exploitation or who are runaways, “throwaways”, and homeless. The agency provides quality outreach, case management, and therapeutic programs both residential and non-residential with the aim of instilling the importance of self-dignity and enduring relationships. Safe House is a temporary (30-day) emergency shelter for youth ages 16 to 20. Shelter residents come through self-referral or through Safe Inc.’s outreach into the Schenectady County and Niskayuna schools. DAY OF SERVICE PROJECT: Our volunteers helped Safe, Inc. provide supplies for youth and young adults in crisis by sorting and organizing donated clothing, toiletries, and household goods. This important project was designed to facilitate the agency being able to quickly meet the needs of those it serves. River Road Park is located on River Road near the intersection with Rosendale Road in Niskayuna, NY. Amenities include a playground for younger children “tot lot”; a pavilion with bathrooms; softball fields; a basketball court; a large, open area and natural walking area. Tennis courts and playground located behind the park. The River Road Park softball fields are the home of Niskayuna Girls Softball from April 1 through July 31 each year. The Park also hosts the Town’s popular 5-week summer playground camp program. DAY OF SERVICE PROJECT: Volunteers helped to refresh this important community resource by painting the pavilion, weeding and spreading much on the playground. Girls Incorporated of the Greater Capital Region inspires all girls to be strong, smart and bold. For nearly 80 years, Girls Inc. has been working to meet the unique developmental and emotional needs of girls ages 5-18. Up to 200 girls are served per day in Girls Inc’s free after-school program at centers in Albany and Schenectady counties. A full-day program is offered during the summer months and school vacation weeks. In addition, select programs and workshops are delivered to area schools and community organizations throughout the Capital Region. Girls of all ages from Niskayuna attend an after-school program in Schenectady and have also participated in Summer Fun and Vacation Week programs. In 2014, fifty 7th grade girls from Niskayuna Schools took part in a day-long, STEM- based Girls’ Summit at HVCC’s Tec-Smart Campus in Malta. Girls participated in hands-on, interactive workshops that exposed them to a variety of STEM fields, including coding. 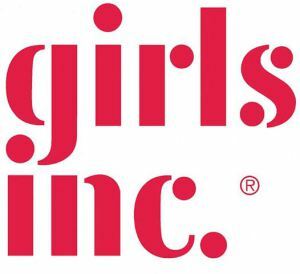 In 2015, Niskayuna 7th graders will once again join Girls Inc. for this exciting event! DAY OF SERVICE PROJECT: Volunteers enhanced the Girls Inc.’s play space and community playground by helping to add wood chips, rake and clean the grounds. The playground is housed at the Girls Inc. site, and it is not only utilized by hundreds of Girls Inc. members each year but also members of the surrounding community in the Hamilton Hill neighborhood. Volunteers also primed and painted inside the center. miSci, the Museum of Innovation and Science provides hands-on fun with interactive exhibits, demos, planetarium shows, Challenger Learning Center space missions, scout workshops, camp-ins, star parties, archives with 1.6 million images, traveling exhibits from San Francisco’s Exploratorium, an indoor butterfly house February through April, the Science Festival of the Capital Region in November, the Trains & Toys Holiday Show, and much, much more! The region’s science center serves as a field trip destination for Niskayuna schools, a school break class provider for Niskayuna children, and a family fun experience for Niskayuna residents of all ages. 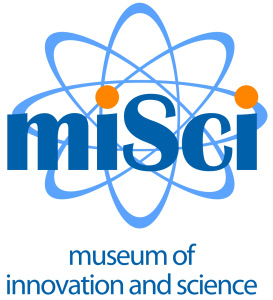 miSci also works closely with GE Global Research in Niskayuna – housing images, recordings, video, patents, drawings, research papers, advertising materials in its archives as well as partnering on the annual Invention Convention student invention competition. DAY OF SERVICE PROJECT: After a tour, our volunteers helped with a painting project and assisted in moving a collection out for display. The Quest For Grace Foundation provides free clothing, toys and infant equipment for foster children. Founded by parents in the Niskayuna School District, Michelle and Louis Ianniello, The Quest For Grace Foundation gives each child 6 outfits, underwear, socks, shoes, pajamas, coat or bathing suit, toys, books and miscellaneous items. Infants may receive a crib, crib mattress, car seat, high chair or stroller. There is a small, but dedicated foster care community in Niskayuna. The Schenectady County Department of Social Services and Northeast Parent & Child Society both refer Niskayuna foster families to the Quest For Grace Foundation. The Quest for Grace Foundation also serves the foster care communities in Saratoga, Warren, Columbia, Washington, and Albany Counties. Each year the Quest for Grace Foundation helps put smiles on the faces of more than one thousand foster children, some of whom come into the foster care system with little more than the pajamas on their backs. DAY OF SERVICE PROJECT: Our volunteers toured the Quest for Grace Foundation store in Schenectady and then assisted with the process of switching the store’s inventory from summer items to fall and winter, and organizing the inventory. They also helped with some routine clean-up and maintenance. The efforts of our volunteers helped ensure that foster families have a wonderful experience as they shop for new and gently used clothing, toys and necessities. The Animal Protective Foundation (APF) is a full-service humane society providing services to Niskayuna, Schenectady County and the Greater Capital Region. They have an open admission policy which ensures that animals are not turned away based on their breed, age, condition, or circumstance. The mission of APF is to reduce pet overpopulation and animal suffering through education and appropriate action, to enhance human/animal relationships, and to provide care to animals in need. APF works with Animal Control in Niskayuna and is their destination for stray dogs picked-up in our community. APF also houses stray kittens and is a resource for Niskayuna families who wish to adopt and give loving home to a dog, cat, or other small animal. DAY OF SERVICE PROJECT: Cats and Kittens that stay at the APF love the comfort of fleece blankets. Our volunteers helped the APF by making simple no-sew fleece blankets for feline guests to enjoy during their stay (and to take to new homes). Dean Street Park (DSP): DSP is a special park district that was set-up back in the 1950’s (it pre-exists many of the town parks). Today, approximately 250 property owners reside in the DSP tax district and pay a small fee included in their property tax bill for maintenance and rehab projects for the park. DSP is located in the Town of Niskayuna. The town streets that boarder the park are Dean Street, Niskayuna Drive, Hillside Ave, and Nelson Drive. Park District residents can play tennis, basketball, baseball, play on the playground, or have a picnic and relax on the 12 acres of parkland. DAY OF SERVICE PROJECT: Our volunteers joined in helping to enhance DSP playground facilities by painting picnic tables and several pieces of large playground equipment. 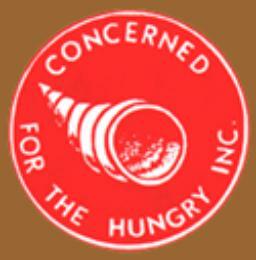 Concerned for the Hungry, Inc. is an entirely volunteer organization working to fight hunger in Schenectady County. Started by a small group of individuals in 1979, the organization began with the realization that the need for emergency food was growing. After 36 years, it remains a leading force in providing essential food services and support throughout Schenectady County. In 2014, their Thanksgiving Food Basket program fed 162 needy families in Niskayuna. Niskayuna community members are also involved with Concerned for the Hungry as volunteers with over 60 Niskayuna families volunteering. DAY OF SERVICE PROJECT: Our volunteers learned more about Concerned for the Hungry and helped collecting donations of food and money outside of the Glenville Walmart for their 37th Annual Thanksgiving Food Basket Drive. Through this program Niskayuna and Schenectady County residents can pick up a basket of food that will allow a whole family to be well-nourished for the Thanksgiving holiday. The Jewish Community Center (JCC) on Balltown Road is Niskayuna’s primary community center, a non-profit membership organization where people come together as a community to learn, share and celebrate. The JCC houses preschool, child care and camp programs, as well as a state-of-the-art fitness center, indoor pool and gym and the William & Estelle Golub Family Pool & Tennis club encompassing 33 acres of woods, trails, ball fields, tennis courts and pool club. Every month the JCC is visited by over 20,000 people of all ages, faiths, and backgrounds. Over 800 adults enjoy the JCC’s programming each day, and over 400 children are served daily in childcare and youth programming, including the “Kid’s Time” Program at each of Niskayuna’s five elementary schools. They have been ranked the #1 Child Care Provider in the Capital District by the Albany Business Review for the last three years. 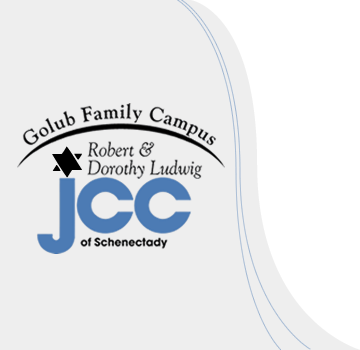 The JCC is the largest “Silver Sneakers” provider in Schenectady County. A significant employer in Niskayuna, the center has 135 employees year-round, along with 110 seasonal staff. The JCC’s impact on many Niskayuna families can be felt all over town. DAY OF SERVICE PROJECT: After a brief orientation to the programs and services at the JCC, our volunteers created a new preschool library to be enjoyed by teachers, students, and other families and members who would like to borrow books. The project will included alphabetizing the books, scanning and entering books into the database and general organizing and setting-up. City Mission of Schenectady (City Mission): serves over 500 meals a day and provides shelter to approximately 90 men, women and children each night. In addition to meals and shelter, City Mission provides free clothing such as warm winter wear- hats, coats, mittens, scarves and gloves- all through the cold winter months to anyone in need. Other programs include transitional housing, donated school supplies, career training, counseling, a weekend backpack program for approximately 750 hungry children, and numerous other programs that are designed to meet the needs of the hungry and homeless in our community. City Mission is a resource for over 600 Niskayuna families living below the poverty line. 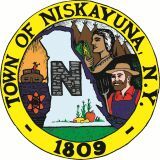 Many Niskayuna community members also contribute financially to City Mission and volunteer their time to support programs and services. DAY OF SERVICE PROJECT: After an orientation to the City Mission programs, our volunteers contributed by sorting clothing at the “Distribution Center”. Sorting donated clothing is an important volunteer activity at City Mission as donated clothes go to City Mission shelter residents during their stay, candidates for employment, the needy and people in the community on a referral basis, and the thrift shop. The City Mission even has a program to recycle old, worn and ripped clothing which is unacceptable for distribution. Nothing is wasted! Cornell Cooperative Extension Schenectady County (CCE): provides educational programs that address the challenges of local residents and businesses, and connects the people in Schenectady County with Cornell University- New York’s Land Grant College. Over the past year, CCE has served approximately 575 Niskayuna youth and adults through educational programming. These services include environmental education projects for the Niskayuna Girl Scout troops held at the greenhouse facility, Environmental Education Days for students from Craig Elementary School, various educational classes at the greenhouse for youth and adults, Niskayuna youth participating in the Roots and Wisdom ( an agriculture and community service program), and Niskayuna adults volunteering as Master Gardeners. CCE educators also participated in Rosendale Elementary School’s Beautification Day as well as the “Ag in the Classroom” project at Birchwood Elementary School. DAY OF SERVICE PROJECT: After an orientation to the programs and services at CCE, our volunteers contributed to all the great philanthropic and educational work done at the Sustainable Living Center located at the Central Park Greenhouse. They picked tomatoes, helped to build trellises for raspberries and composting beds, and sifted compost.